MONTVALE, N.J., – This week IMA® (Institute of Management Accountants) launches a new strategic advertising campaign in support of the CMA® (Certified Management Accountant) certification program. A continuation of the “You’ve Got to Earn It” campaign from 2017, the advertisements emphasize how accounting and finance professionals who earn the CMA are better positioned to thrive in the digital age. The multi-channel campaign was developed in partnership with The Gate | New York, a global advertising and marketing services company. The campaign utilizes programmatic television, radio, digital, social media, and search engine marketing in the U.S. In addition, IMA is extending select campaign components in Europe, the Middle East, India, China and Southeast Asia, according to The Gate l New York President, Beau Fraser. Billings for the campaign were not disclosed. Accounting has been among the first professions to be impacted by Artificial Intelligence (AI) and machine learning. These technologies, though, offer management accountants an unprecedented opportunity to support faster, better, more strategic business decisions – if they have the right skills. 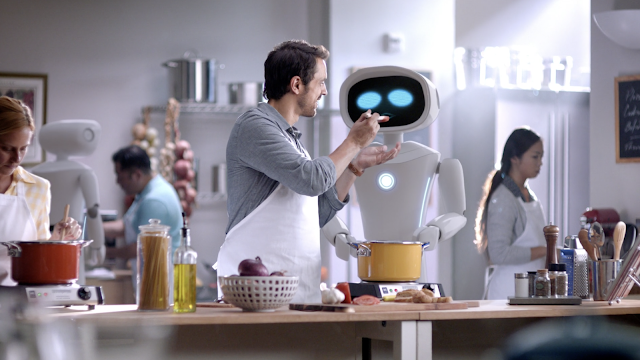 In a comedic but relevant take on this reality, the campaign illustrates how a CMA sets strategy and makes decisions more effectively by partnering with a robot colleague, not only in the office but in team building activities. The full TV spot can be viewed here and will run on CNBC, ESPN and Bravo. In addition to preparing professionals for the rise of automation in the workplace, the CMA has served as a vital gateway for finance professionals into more strategic roles. It demands a mastery of the 11 most crucial practice areas in management accounting including financial analysis, corporate finance, and risk management. To learn more about the CMA, visit: www.imanet.org/cma. IMA®, named 2017 Professional Body of the Year by The Accountant/International Accounting Bulletin, is one of the largest and most respected associations focused exclusively on advancing the management accounting profession. Globally, IMA supports the profession through research, the CMA® (Certified Management Accountant) program, continuing education, networking and advocacy of the highest ethical business practices. IMA has a global network of more than 100,000 members in 140 countries and 300 professional and student chapters Headquartered in Montvale, N.J., USA, IMA provides localized services through its four global regions: The Americas, Asia/Pacific, Europe, and Middle East/India. For more information about IMA, please visit http://www.imanet.org. The Gate | New York is part of The Gate Worldwide, an international advertising agency network that works with clients in tough, complicated industries to make their considered purchases products or services worth considering. The Gate manages over $250 million in client advertising and has a network of offices in New York, London, Edinburgh and Hong Kong. For more information, visit www.thegateworldwide.com.